NME award-winner Jamie Treays is a 25-year-old singer/songwriter hailing from Wimbledon, South London, England. He is signed to Virgin Records but released his Betty and The Selfish Sons EP on his own Pacemaker Records label in 2007. His musical style is hard to place, but incorporates elements of rap, reggae, and acoustic genres. Although at the time of writing Jamie has received relatively little mainstream exposure, he has received airplay from BBC Radio 1 DJ Zane Lowe, who made "Salvador" his single of the week and "Back In The Game" his Hottest Record In The World. In January 2007 Jamie also covered Zane's show on radio 1 whilst Zane was away, working alongside Radio 1 DJ Nihal. On Jo Whiley's show, "Back In The Game" featured as her "pet sound" and more recently his single Sheila was Whiley's Record Of The Week. Jamie also remixed Gorillaz #36 single Kids With Guns. This was a B-side. "Sheila" was also 'playlisted' by Radio 1 thus receiving more airtime across all shows. To date Jamie has released three singles: "Sheila" was released on July 3rd 2006 and got to No.22 in the U.K. singles chart, his first Top 40 hit. "Calm Down Dearest" was released in the UK on January 15, 2007, reaching No.12, his highest charting commercial success. "Panic Prevention", Jamie's Debut album, was released on 29/1/2007 - although it was also leaked on the internet 3 weeks earlier. Jamie's no stranger to internet bootleggers, there's also a naughty 'Demos' album hanging around on the world wide highway containing alternative and live performances. On March 1, 2007, Treays was voted as Best Solo Artist at the NME Awards, at Hammersmith Palais in London, England. He held off more established names like Thom Yorke & Jarvis Cocker, to receive the award. 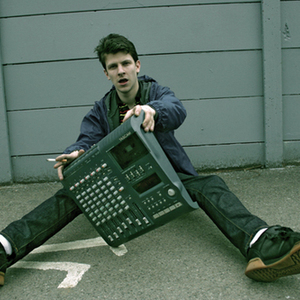 Jamie T is currently working on his second album with a few track titles being released; including "Sticks and Stones", "Spiderwebs", "Hocus Pocus", "368", "Jilly Armeen", "British Intelligence", "Dance of the Young Professionals", "Man's Machine", "Earth, Wind & Fire", "Emily's Heart" and "Bruce". Also an unnamed track featuring backing vocals from Florence And The Machine's Florence Welch is set to be on the record. "Sticks n' Stones EP" is set to be released June 29th with The album "Kings & Queens" following late Summer. On January 12th 2009, a music video appeared on Jamie's website for a new song, "Fire Fire". The track has elements of Jamie's trademark sound but incorporates faster rhythms, a punk aesthetic and a more abrasive sound than previous singles. Jamie T has said to NME "'Fire Fire' won't be released as a single nor will it be on the new album, it's just a thank you for the fans being so patient." He did announce a date for his new single though, The 'Stick 'N' Stones' EP which is to be released June 29th. May 21st saw the release of the official video for his latest single "Sticks 'N' Stones". In an email received by subscribers to his website, Jamie said, ?Just a little note to say thanks to everyone who's supporting Sticks ?N' Stones. We just finished shooting a little video for the track the other day, so fresh out the edit room it is here for your enjoyment. It was a lot of fun to make and we hope you like it. Hope to see you all soon?.. Thanks Jamie?. The video was shot entirely in the London suburb of Wimbledon where Jamie is from and features scenes of him and others, including fellow band members.